VC L The Mighty V! Veasey of Black Merda! This is the story of a group of musicians, songwriters and producers, Anthony Hawkins, VC L. Veasey and Tyrone Hite who were popular as a local Detroit and national backup band under various names, Impact, The Fabulous Impacs and the Soul Agents before stepping out on their own to blaze a new trail in music! They provided the on stage Umph! for Motown recording artists Edwin Starr, The Spinners as well as for Chicago’s Brunswick Recording artists Gene Chandler, The Artistics, Billy Butler and The Chilites! VC and Anthony (also known as Wolf) met in the spring of 1960 when they both were just budding blues guitarist and had been like brothers socially and musically ever since. VC knew how to play five Mississippi blues tunes his father, George, taught him and Anthony knew how to play the hook line of the popular instrumental of the day “Honky Tonk” by Bill Dogget. Anthony met Tyrone at Western High School in Detroit, introduced him to VC and the three of them became a musical and social family! Through a series of fortuitous occurrences they became aware of the budding Psychedelic and hippie movement after, VC L. Veasey was stationed at Fort Lewis Washington, in early 1966, saw a write-up and a picture of budding new artist Jimi Hendrix in a Seattle newspaper entitled “Hometown Boy Makes Good!”, Initially thinking “this guy looks like a clown!” VC laughed at the picture but, related the incident to his fellow band mates after leaving the Army and rejoining them as the ‘Soul Agents” in late 1966. They all had good belly laugh after hearing story as well! During a stop on a West coast tour with Brunswick recording artist Gene Chandler, in 1967, they stopped in a local record shop to check out the new records on sale, when a lone copy of Hendrix’s “Are You Experienced?” caught VC’s eye! He immediately pointed the album out to Anthony and Tyrone who excitedly looked in the direction he was pointing! Tyrone, laughing excitedly and seeing a picture of the “clown” on the album’s cover blurted-out, “Let’s buy it so we can play it and laugh at him!” They all laughed “yeah!” in agreement! But they didn’t play the album until they finished the tour and returned to Detroit where they lived and had access to a record player. They camped out at Tyrone’s house, lit up a few joints and put the record on prepared to have a good belly laugh! But instead of laughing their mind were blown! When they heard, the then unheard of, searing, , emotionally, penetrating guitar, groove and sound of Hendrix’s “ Foxy Lady”! They were stunned! They couldn’t believe it! The screaming rock guitar sound that’s taken for granted today was a new thing then! The intensity of Hendrix’s playing, the emotion, the feedback, the creativity of his songs, his look! All made sense now! And they weren’t laughing at “the clown” except at how great he was! They were fascinated! They didn’t stop playing the album for days, days and days on end! From that point on VC, Tyrone and Anthony decided that they were going to dive into this new style of music and dress that Hendrix exemplified but, with their own original twist on it! They grow their hair long, wore big Afros and dressed in flamboyant, colorful but stylish Psychedelic clothes! Up to that point they had been a five-piece Soul-Jazz band with a three-piece rhythm and two-piece horn section! They decided to dump the horn section and became a three-piece rock guitar band! They had been a successful backing band for popular national acts! That they could give it all up just like that! Shows the momentous, radical change in consciousness they had experienced and their love and commitment to the new style of music! Gus and Victor weren’t part of that metamorphosis! They lived in Ohio and had only met the three budding musical pioneers, who had been friends since their early teens, later in their careers and weren’t part of their inner circle. Anthony and VC had been writing songs since they first met at age 14! Almost from the time they first picked up their guitars! Being of a spiritual, philosophical, turn of mind, the lyrical content of their songs was always insightful, thought provoking and original! They now individually and as a songwriting duo turned their well-honed writing skills, innate musical intelligence and talent on the turbulent and unjust social and racial issues of the late 1960s and early 70s! For a year or so the three friends emulated the three-piece line up of The Hendrix experience but decided that they need an additional instrument in the band to make their sound fuller. Anthony wanted a piano player as the new instrument but VC was adamant about keeping the band a rock guitar band instead! So the search for another guitarist began! But it couldn’t be just anyone! 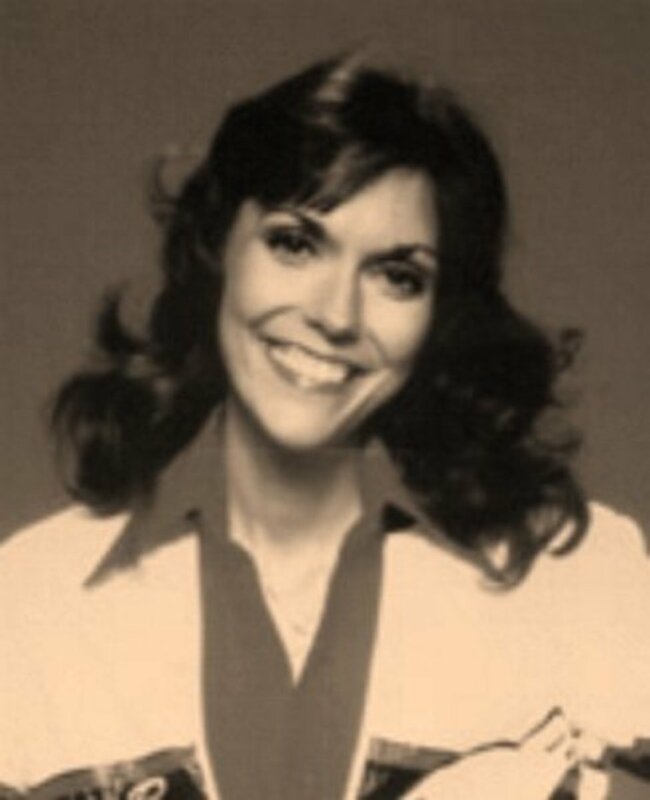 It had to be someone who was versatile! Who could play funk and Rock and liked it! After a short search Tyrone suggested Anthony’s younger brother, Charles, for the position. VC knew Charles had some playing experience but wasn’t sure if he could handle the job or be into a playing a more Rock style music since, the primary forms of music Black musicians played at that time was Soul, Blues or Jazz! At Tyrone’s urging, VC set up a meeting with Charles, whom he had known since he was about eight years old to see what he thought of his playing ability. Charles played a few tunes for VC! VC was impressed with the energy and fire Charles put into his playing! And thought it would be a good blend with Anthony’s slightly more laid-back style of playing. But he wanted to know if Charles was willing to become part of the new style of music, dress and lifestyle they were committed to following! Charles said he was. VC wanting to make doubly sure Charles knew just what he would be getting himself into queried, “We play stuff like Jimi Hendrix, Lead Zeppelin, Rock stuff like that but with some funk in it! Are you willing to play like that!” “Yes!” Charles shot back! “And what about the freaked-out psychedelic-type clothes we wear are you willing to dress like that?” “I’m willing to do that too!” Charles exclaimed! Initially Anthony didn’t want his little brother in the band citing the good feel he and VC had playing as a duo when since they first started playing and how he preferred VC’s rhythm guitar playing to Charles’ rhythm guitar style backing his leads! But now VC was playing bass and they needed a guitarist, so Tyrone and VC over ruled him and the final configuration of the band was made! Now they needed a new name to go with their more dynamic sound and look! The foursome was riding in a car one day, on their way to a gig or a rehearsal, when VC said, “We need to come up with a new name for the group” “The Soul Agents just doesn’t fit anymore!” “We need something more dynamic to go along with our new dynamic image!” They all nodded in agreement “Yeah we do!” They were contemplating the idea when Charles had a breakthrough! “Lets call it Murder Incorporated!” He softly said! Their ears perked up! They’d heard him! But no one said anything as they contemplated his words! Then VC spoke up, “N’all! That sounds too much like the criminal organization!” Tyrone and Anthony nodded in agreement! They all contemplated the issue again! Visions of Black people being killed by the police locally in Detroit, especially young Black men, by the Klan and others nationally at that time, flashed through VC’s mind! And how a name that reflected that tragic situation would be a shocking reminder to the public of how bad that situation really was! How that name could be a double entendre, not only focusing the spotlight on the unjust killing of Black people, but that their music was so dynamic and socially meaningful that it just “killed” you when you heard it! “Lets call it Black Murder!” VC exclaimed! They all agreed! They like the sound of it! It was dynamic! It fit their new image! And from that point on they were Black Murder! After using “Murder” for a while, the spelling was changed to “Merda” as a being more original, and hipper than “Murder” and having less of the negative impact than “Murder” on the public imagination! But it was still pronounced “Murder” and meant “Murder” and was a double entendre for the way their live performances affected those who experienced them! They were still in demand as a backing band for various locally and nationally known acts. Edwin Starr whom they had worked with in the past came calling for their services for upcoming tour with “Temptations” around 1969. (As mentioned earlier VC and Anthony had played on Edwin’s breakout hit “Agent Double-O-Soul”, a take off on the James Bond craze of that time and toured with him as Edwin Starr and the Soul Agents). “How you guys doing?” Edwin smilingly asked! “Every Thangs, Every Thang! They simultaneously chimed! “I have a tour coming up with the Tempts. I need you guys to do it! Can you do it?” Edwin smiled! “Sure we can do it but things have changed” Anthony replied! “Yeah” VC echoed! “We’re not using horns anymore we’re doing more of a funk-Rock thang!” “So if we do the tour it’ll be just the four of us!” “That’s right” nodded Anthony, Charles and Tyrone in agreement! 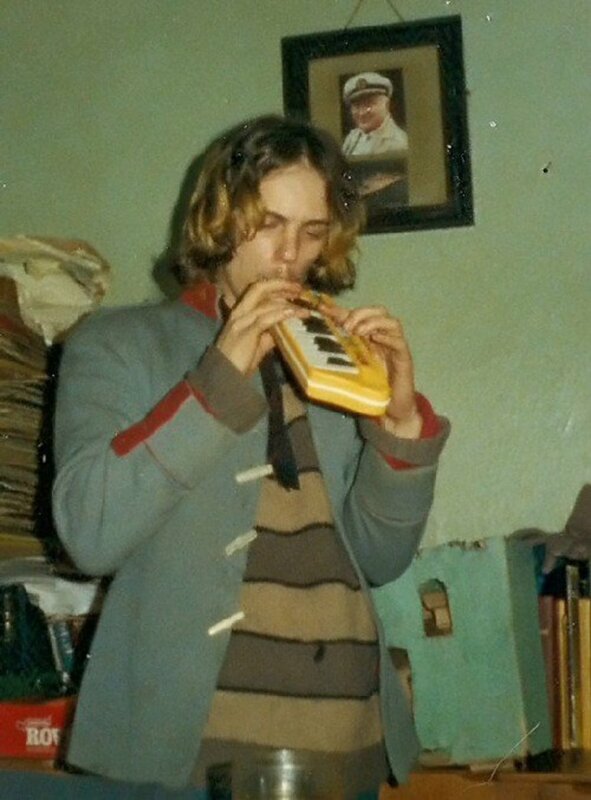 Edwin probably thinking that their new look and sound would add to his stage appeal because many young people around the country were into that type of music at that time. 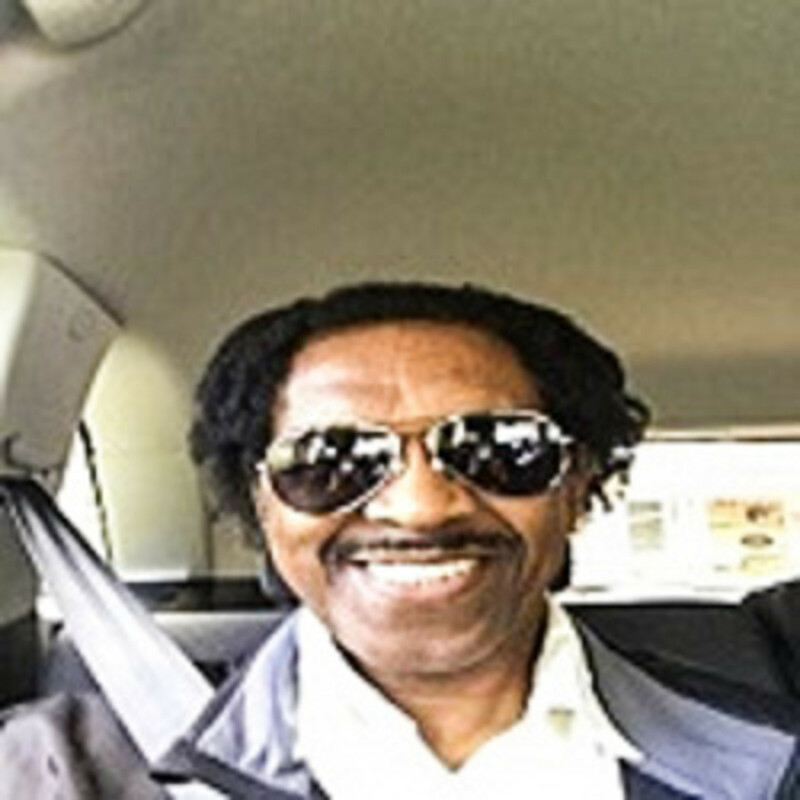 Smiling enthusiastically said “Ok that’s fine!” So they and Edwin boarded the Temptations tour bus and toured the New England states with their four-piece guitar band, new look and sound while the Temptations performed with an orchestra! The Temptations were impressed with the sound the four young men, playing through huge amps and speakers, were getting on stage, and the camaraderie they shared with each other off stage and would come to their dressing room after shows to join in the fun, laughing, singing and joking around they always did! 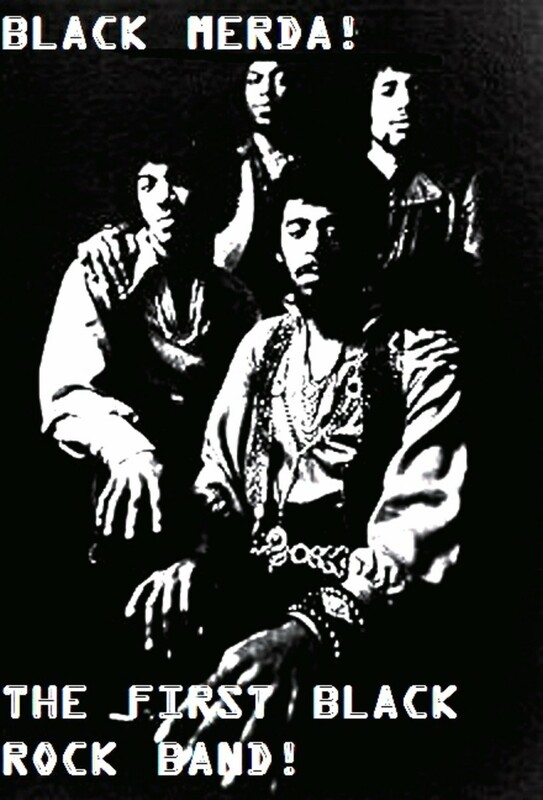 But at that point the foursome viewed the Tempts and other Motown acts as passé and not part of the new cutting edge music that the more adventurous young acts, like Jimi Hendrix, and themselves were experimenting with at that time! Still when Eddie Kendrick’s expressed an interest in producing them they started meeting with him once they returned home. And he lived in the same neighborhood as VC, Charles and Anthony which made meeting with Eddie convenient and more appealing! It was through Kendrick’s that they met Ellington Jordan also known as “Fugi”. Eddie said he knew a guy who was something like them and that they might like to meet. They agreed to meet Jordan. Eddie set up meeting “Hitsville USA” (Motown). The night of the meeting as they were heading up the walkway toward the front door of Motown when a car speeds up, abruptly stops, the driver’s swings open, out jumps Fugi. shouting “I knew it was you guys! I knew it couldn’t be nobody but you guys looking the way ya’ll look! 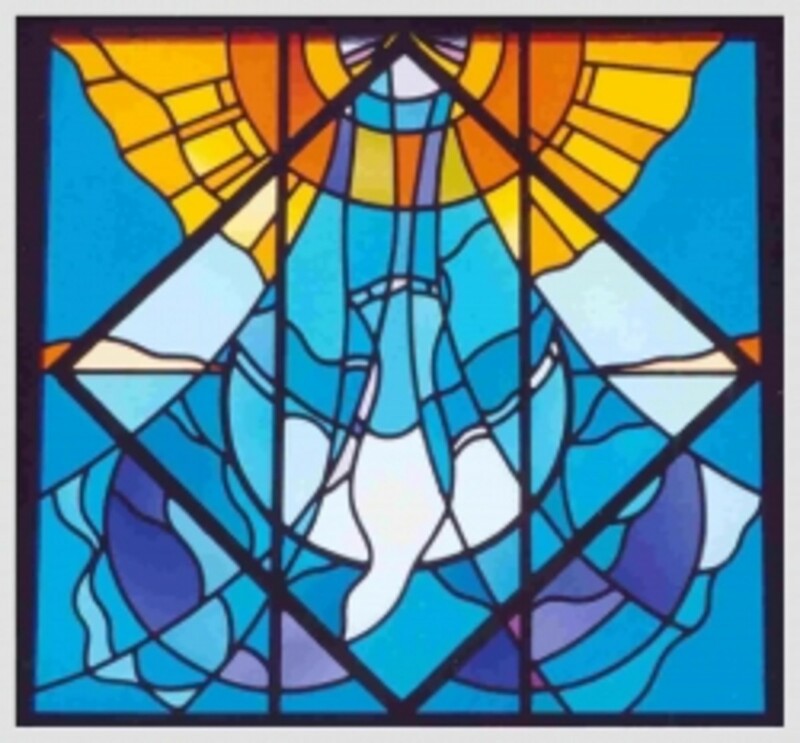 Fugi had recorded an earlier version of his classic song “Mary Don’t Take Me On No Bad Trip” and played for Merda who didn’t think too much of! When VC started spontaneously playing the now classic bass line of the song, Anthony, Charles and Tyrone spontaneously jump in with their parts as the band often did! That’s how most of the tracks they created for Fugi came about! After hearing the low down groove they were laying down, Jordan immediately ditched his version and pleaded with them to let him use theirs, which they did! From then on he only wanted Black Merda creating the music that he would later write lyrics and vocals to. Fugi was an unabashed fan of Black Merda’s style, music and socially conscious lyric style! So much so tjat he brought them to the attention of Marshall Chess of Chess Records who he had a record deal with after “Mary” became a huge local hit in Detroit! 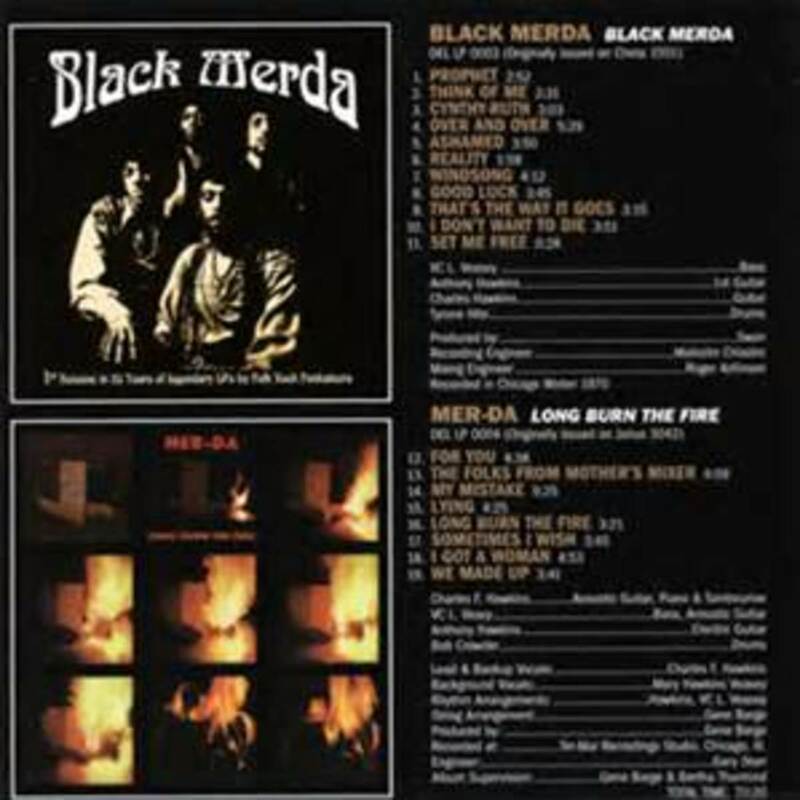 Merda recorded one album for Chess the classic self-titled “Black Merda” and one for GRT Records the classic “ Long Burn The fire” both albums though not successful in their original outing have since attained legendary status among collectors and a growing number of international fans as prime examples of the talent of Four pioneering young Black men in the under appreciated genre of Black, Psychedelic, Funk, Rock! 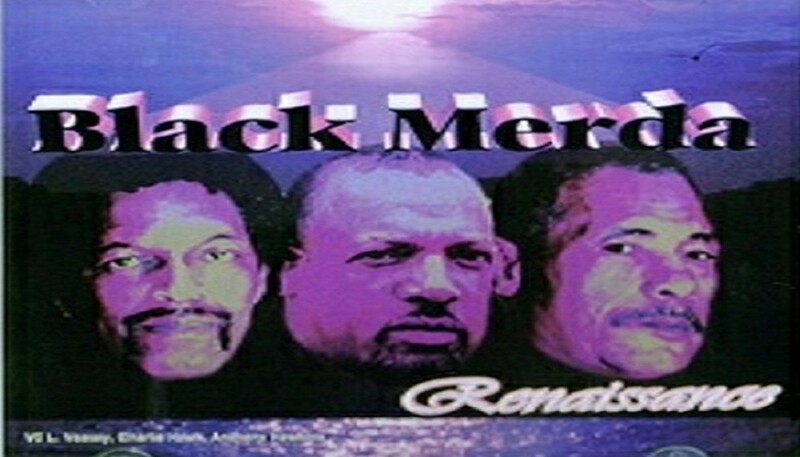 Black Merda has recently performed at Detroit’s Motown Winter Blast Festival in 2005 and 2006, The Beachland Ballroom in Cleveland and other venues to rave reviews from fans and the media who unanimously say Black Merda still has the fire and the magic! 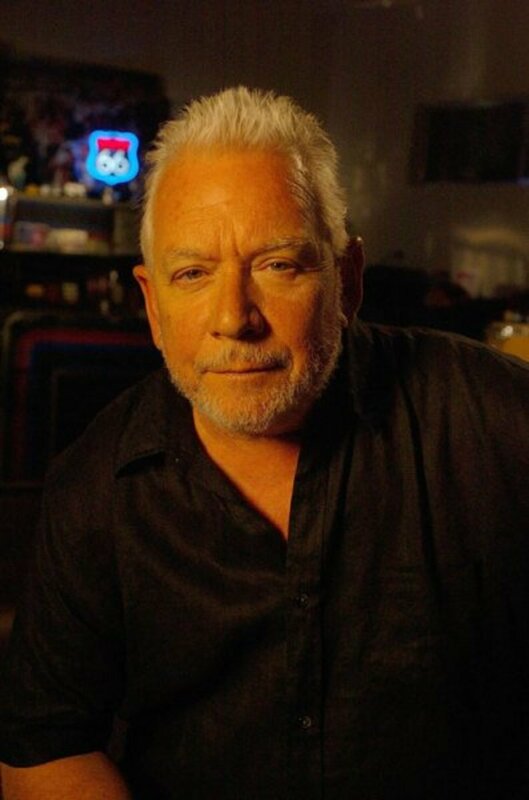 Is Eric Burdon One of the Greatest Rockers of All Time? Way cool! I love learning about long-lost, forgotten rock bands like this. 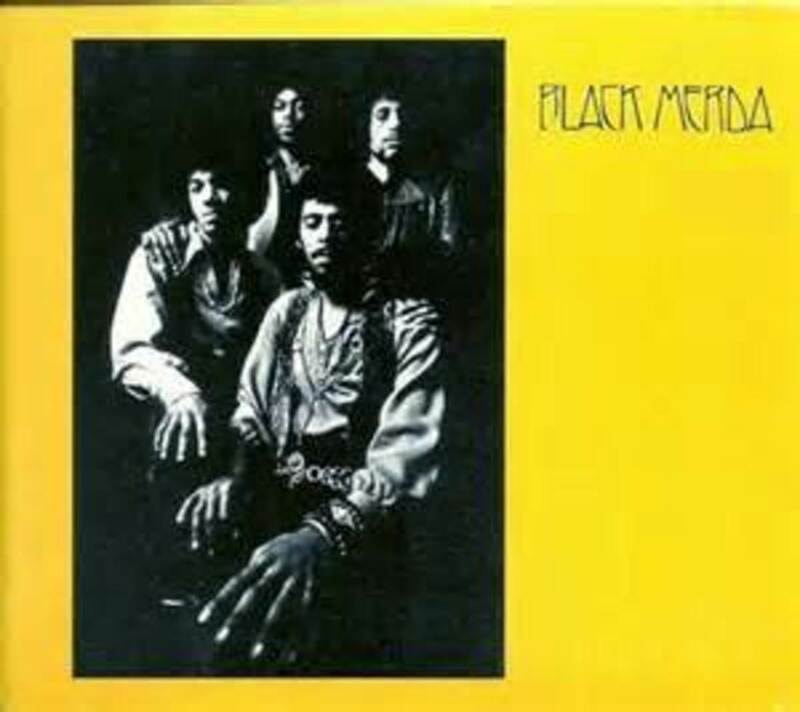 I've never heard of Black Merda before, but I'm checking out some tunes on YouTube as I type this. Good stuff, very Hendrix inspired indeed. Far out man!